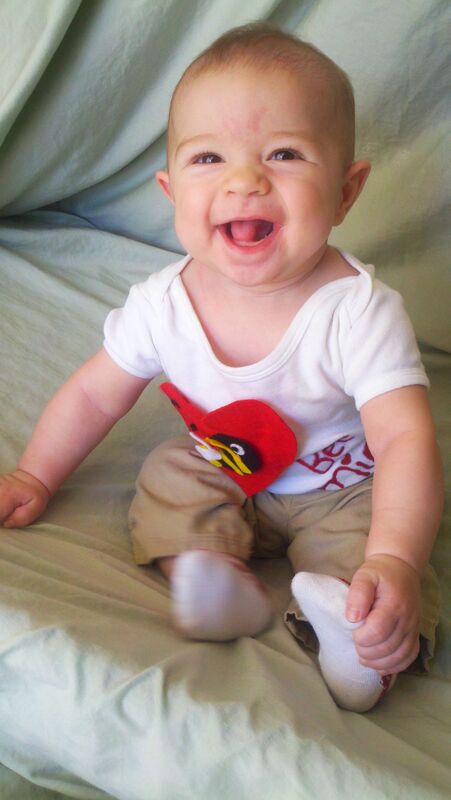 On February 14, Liam turned 6 months old! :’) He is growing up so quick. 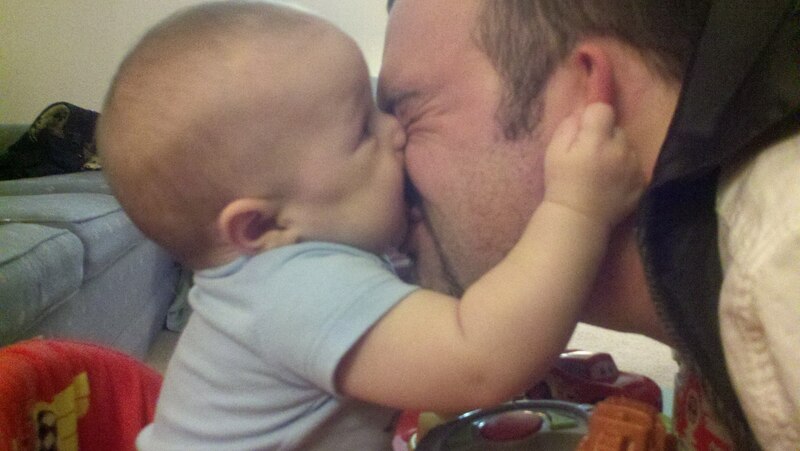 It was also his very first Valentine’s Day! 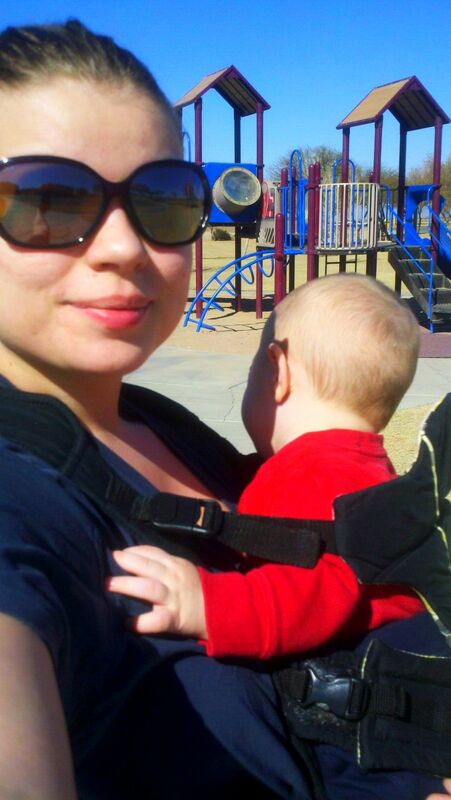 We spent the day together, went to the park, went down the slide, cuddled, and played together all day long! This post is to share with you his special day! 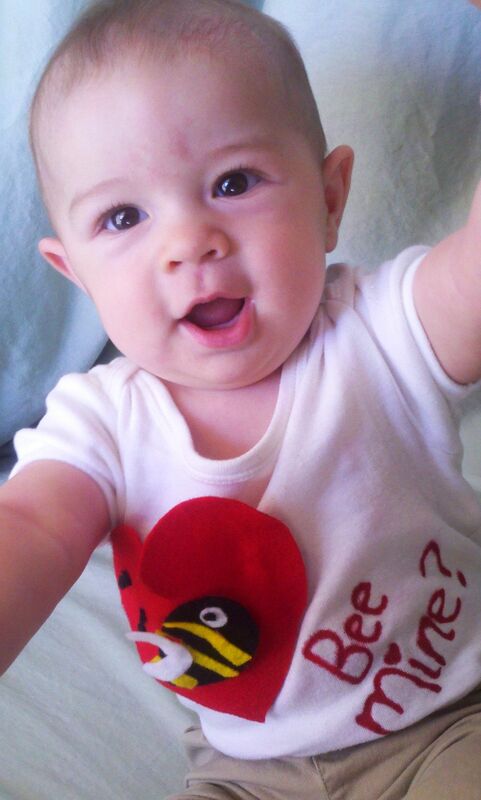 I made Liam a special Valentine’s Day t-shirt so he could take pictures and send his relatives a Valentine! 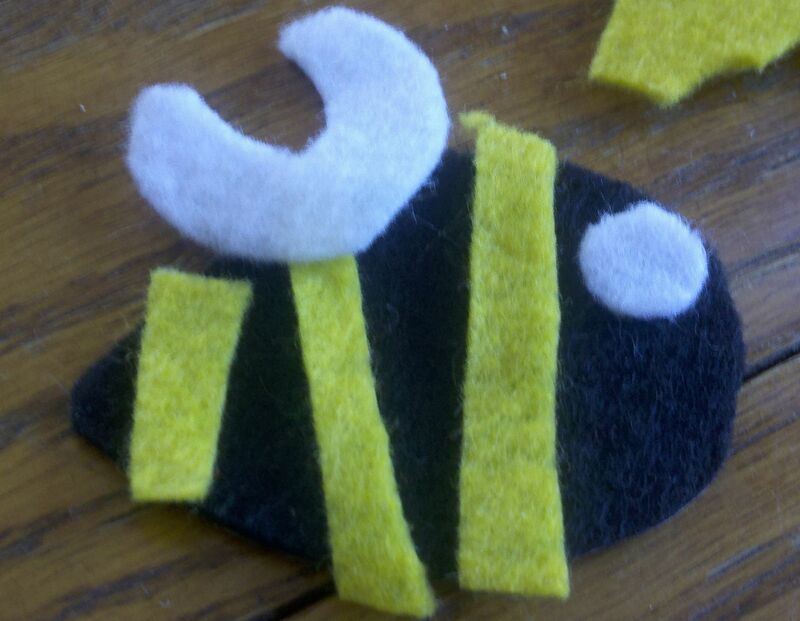 I took black, yellow, and white felt and made a bee. We took tons of cute pictures! Then picked one and made a valentine! (I can’t find the actual Valentine, I guess I didn’t save it on my computer!) I used photo paper to print them out and sent them in the mail. 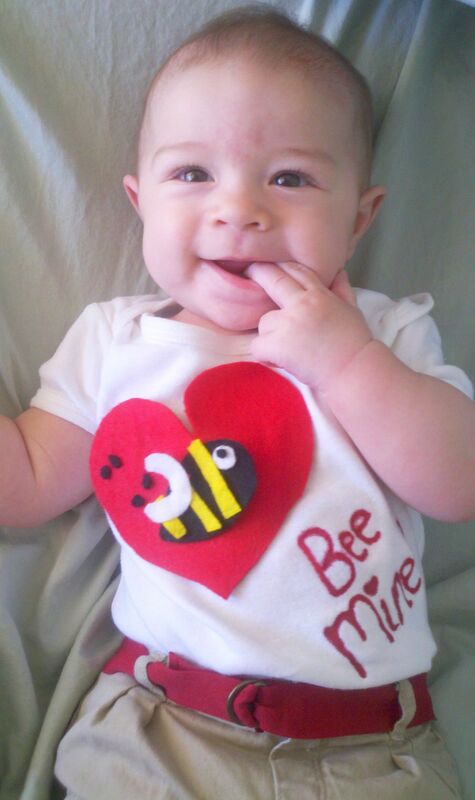 I wrote “WILL YOU “BEE” MY VALENTINE?” on it, with a couple red hearts. Here are some of the pictures! We made one for his Daddy too and he took it to work the next day to show it off!! 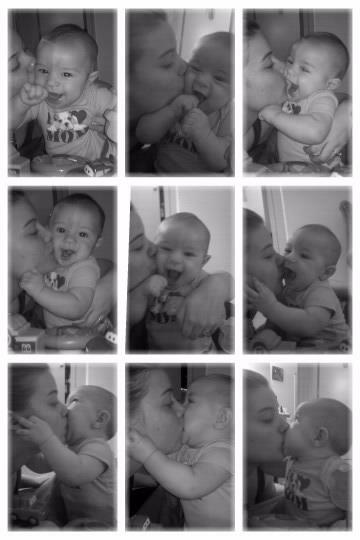 It was so sweet how much he loved it! Now that he’s mastered crawling and gets around super fast, he spent most of the day trying to get into mischief! 🙂 We walked to the park and went down the slide together a few times! He thought it was really fun 🙂 We played together all day long and then hung out with his Dad when he got home from work! Can you find Jonah (the cat) in this picture?? movies- Pitch Perfect (he loves the singing and the pretty girls lol) and Finding Nemo! He doesn’t like many movies or TV shows(which is a good thing), but if we are watching one of these he is all for it! books- Brown Bear, Brown Bear. Polar Bear, Polar Bear. On the Night you were Born. Goodnight Moon. One Fish Two Fish. Polar Express. Lady and the Tramp. activities- playing with Mommy and Daddy. Going on walks. Crawling and exploring the house. Laughing and singing. Chasing the animals. food- avocados, bananas, and sweet potatoes. On February 18 we will know his measurements at his 6 month appointment! 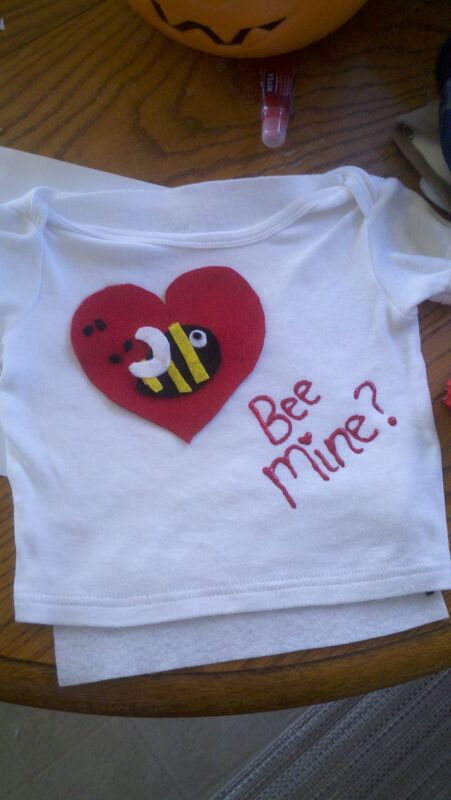 This entry was posted in Uncategorized and tagged 6 month old, baby, bee my valentine, diy, do it yourself, goodnight moon, holidays, valentine, valentine's day. Bookmark the permalink.